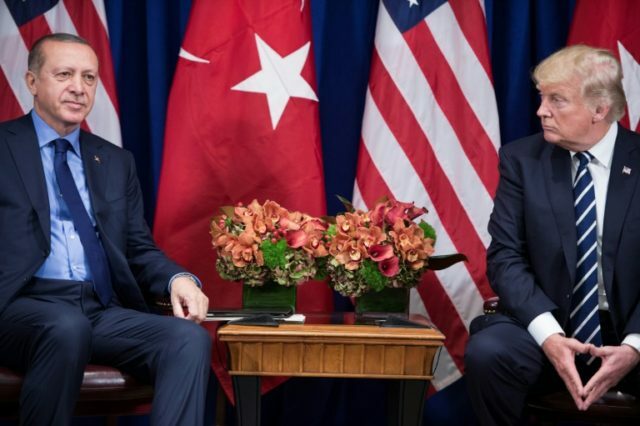 Washington (AFP) – Washington’s chilly reaction to Recep Tayyip Erdogan’s election victory and consolidation of his presidential powers reflect expectations that no thaw in US-Turkish ties is imminent. Erdogan’s position as Turkey’s leader remains strong, but his parliamentary majority now depends not just on his own AKP party but also on the nationalist MHP — no friend to America. 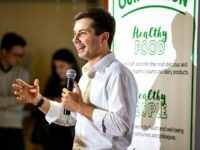 So in the medium term, despite opposition gains, he will have little room to compromise on the long list of issues that have hurt ties with NATO and with US President Donald Trump’s administration. And in particular, Erdogan is now even less likely to bend on his key beef with Washington: Turkey’s determined opposition to the Pentagon’s continued support for Kurdish militia inside Syria. “The fact that he had to enter a formal coalition with ultranationalists is very important,” said Asli Aydintasbas, political columnist and a fellow of the European Council on Foreign Relations. “That dependency is going to be a difficult thing to manage at times,” she added, in a call with US-based journalists. Soner Cagaptay, head of the Turkish Research Program at The Washington Institute, was also pessimistic about US-Turkish ties. “If you thought Turkey’s foreign policy already had little room to maneuver on issues of Kurdish nationalism, you’re going to be surprised how that room is going to narrow down,” he said. As part of its strategy to defeat the jihadist Islamic State group in Syria and northern Iraq, the US-led anti-IS coalition has co-opted the Kurdish YPG militia into the so-called Syrian Democratic Forces (SDF). Turkey’s government — and a large majority of Turkish voters — see the YPG as little more than an offshoot of the “terrorist” PKK, with which Ankara has been at war for decades. Turkish troops and allied Syrian Arab rebels have stormed one YPG enclave in northern Syria and now Ankara and Washington are in talks to defuse a stand-off around the town of Manbij. Nevertheless, he wrote, Turkey’s main challenges in its region and in Syria especially will come from Russia and Iran, suggesting Ankara may have to mend fences with its traditional allies. But Syria is only one of a raft of issues complicating US-Turkish relations. The case of Andrew Brunson, a Christian pastor who had been in Turkey for more than two decades has become a cause celebre and Trump’s administration has repeatedly demanded that he be freed. Turkey, conversely, has demanded that the United States send home 77-year-old Fethullah Gulen, the exiled Islamic preacher and leader of a global movement who now lives in Pennsylvania. Erdogan accuses Gulen of being behind the failed coup and some of the corruption allegations that had dogged his rule, but US authorities have requested evidence to back the extradition bid. Yet another bone of contention concerns arms sales. Despite being a leading NATO ally, Turkey has entered into an understanding to buy Russia’s advanced S-400 air defense system, in defiance of US sanctions on Moscow. The State Department has protested and US lawmakers have suggested the deal could endanger a sale of the F-35 Joint Strike Fighter to Turkey. Still more issues cloud ties — such as the behavior of Erdogan’s bodyguards, who have twice brawled with peaceful demonstrators in Washington — but things work out better behind the scenes. US officials speaking on condition of anonymity say that when Erdogan is not playing up to his anti-American base work can be accomplished. But they note that, while former secretary of state Rex Tillerson and national security adviser H.R. McMaster built a rapport with Ankara, their successors Mike Pompeo and John Bolton have yet to do so. Speaking in a personal capacity at a think tank event, he admitted that none of the outstanding disputes are “made any easier” by the result.